Another busy weekend in the works and the temptation to blow it off is high. 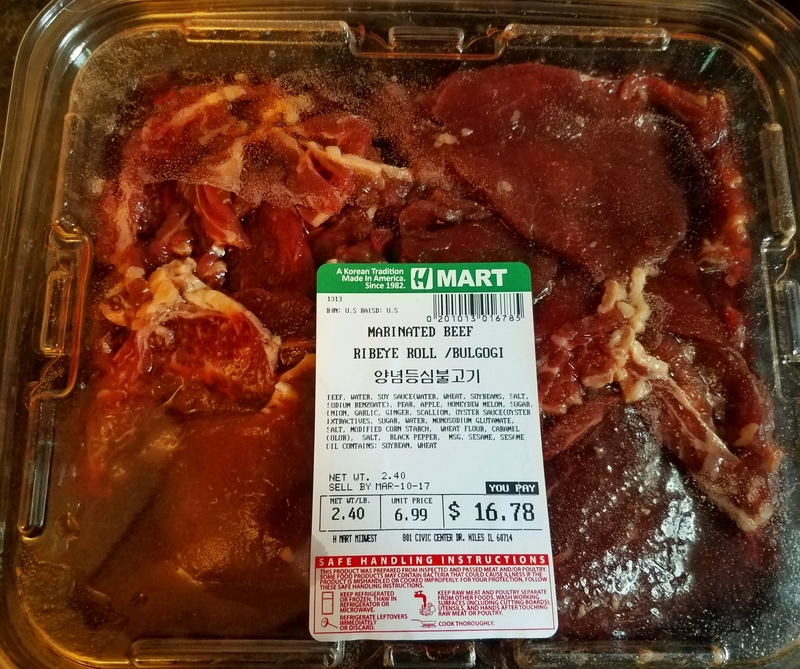 However, while shopping I did find some pre-marinated, thinly sliced ribeye steak (also known as bulgogi). 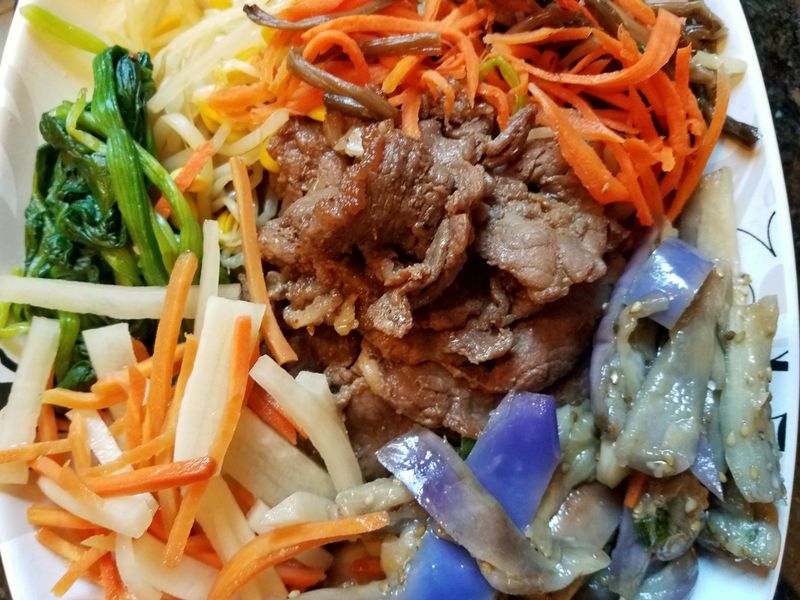 In addition, they also had pre-made vegetables to go with the bulgogi. I already had the rice, so Korean BBQ it is! 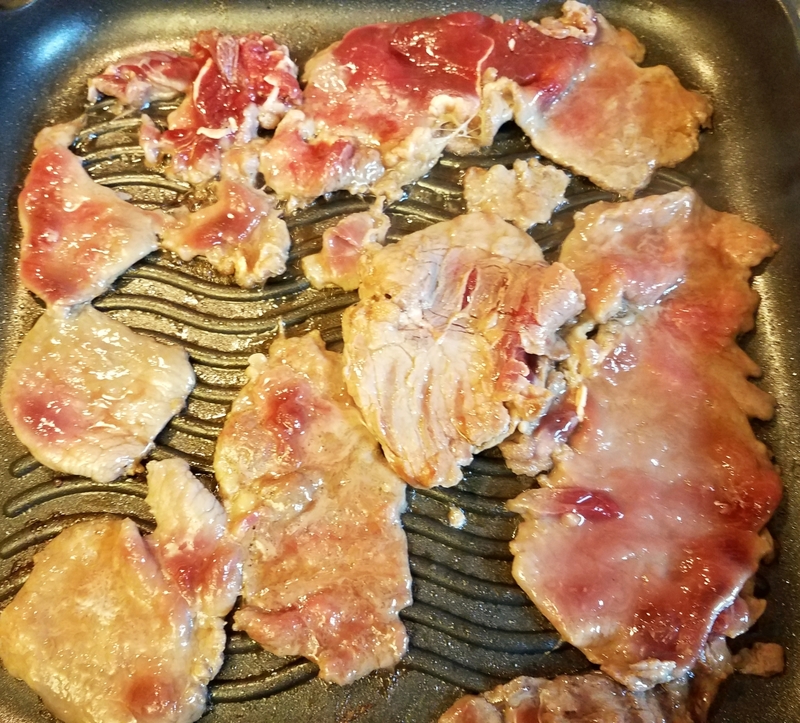 I heated up a grill pan on medium – high fire. Spray on some canola oil and place the marinated pieces on. Cook for a few minutes on both sides until done. Transfer onto a plate. Continue with all the pieces are done. Serve with rice, pickled daikon, seasoned vegetables. Another quick and easy meal prep in the books!